When Philadelphians talk about escaping the city for a day or two, they often mean summertime jaunts to the Jersey Shore. But plenty of small towns closer to home offer up their own attractions for a city dweller -- and you don’t even need a car to reach many of them. After all, about one-third of the Philly population doesn’t own a set of four wheels. (We see you, fellow straphangers.) 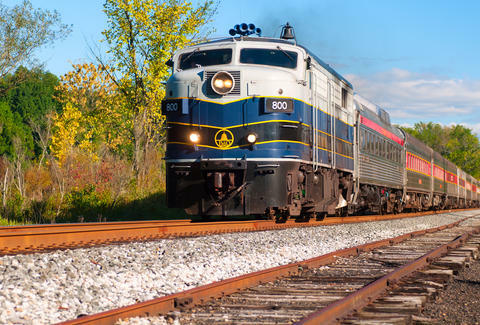 As fall and the countdown of our limited 70-degree weather days begins, consider these seven Philly-area day trips, each only a quick train ride away. We’ll start with the farthest destination, about an hour and 20 minutes north of the city on the SEPTA line bearing its name. 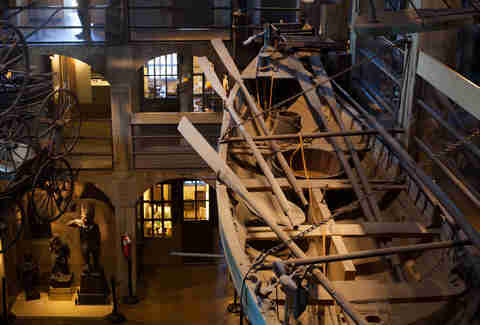 Doylestown boasts a couple of big-name museums: the Michener Art Museum and the Mercer Museum, which showcases American tools from before the Industrial Revolution (in a gaudy old mansion, no less). A compact, intensely walkable Downtown serves up a bevy of delicious eats, from sandwiches at Lilly’s Gourmet to barbecue at Hickory Kitchen to small plates at the upscale restaurant Honey. 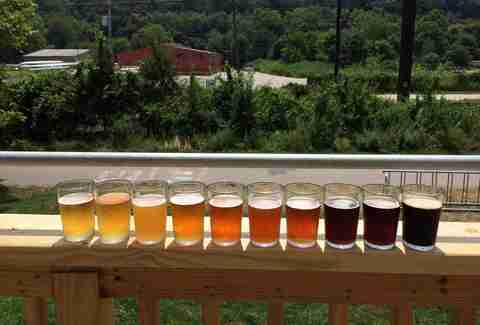 Wash it all down at the Doylestown Brewing Company’s Marketplace Brewery, where the beer is made upstairs. Here we have the kind of place where urban trendsetters might retire. Located just southeast of Camden, about a 15-minute ride from Center City on the PATCO line, Collingswood is a charming pre-war suburb with an eclectic mix of homes and a bustling main street. Start with a pick-me-up at Grooveground or Revolution Coffee Roasters, two java joints that wouldn’t seem out of place in Northern Liberties or South Philly. For dinner, pick from Indian fare at Clay Oven Palace or Indiya, or find a new favorite dish at local chains like Circles Thai and Sabrina’s Cafe. And we're not kidding about the housing stock: it ranges from Philly-style row homes to stately Victorians to modest bungalows. There’s even a gorgeous (if repurposed) Art Deco movie theater, so we recommend digesting with a stroll. 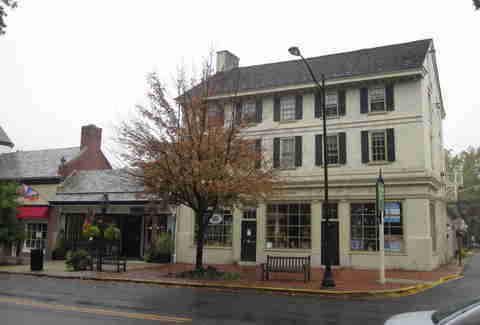 An affluent suburb about 20 minutes from Center City on the Paoli/Thorndale Line, Narberth is small but packs in a lot of character. 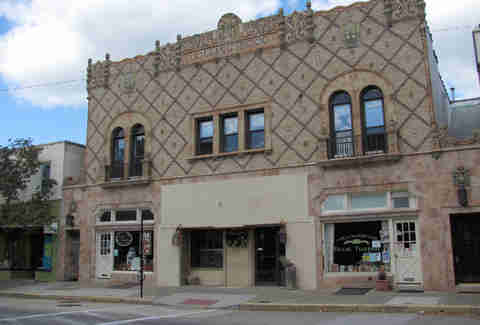 You’ll find attractive little shops, along with the Pennsylvania Academy of Ballet, lining the blocks around Haverford Ave. The Cheese Company, which has sat across from the train station since 1976, will likely beckon. But we need to talk about the bars. 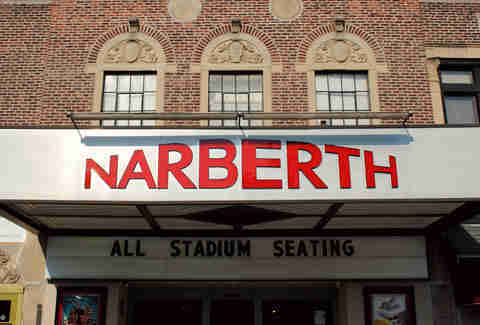 Narberth has only three, yet each has something notable about them. Grab a bite with your beer at the Great American Pub. Down a few craft brews at The Greeks. For a non-local, this writer has spent a surprising number of nights closing down McShea’s. It’s a friendly place. Stay on the train for another two stops past Narberth and you’ll reach Ardmore, quite possibly the hippest suburb in the Philadelphia area. Credit this to its musical past -- MilkBoy once operated a recording studio on this stretch of Lancaster Ave, along with the company’s first eponymous coffee shop and music venue. (Another coffee shop, Melodies, occupied the space afterward, but it closed last winter.) 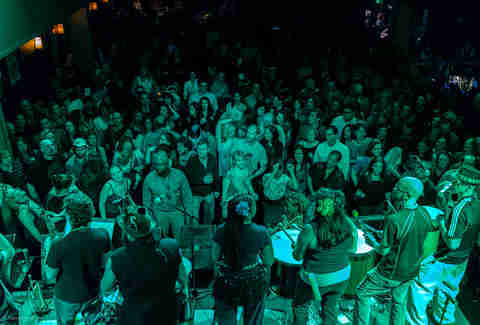 However, the Ardmore Music Hall still hosts nationally recognized rock groups, folk singers, and jam bands. Meanwhile, the avenue retains some indie cred thanks to Viva Video!, which hyperbolically bills itself as “the last picture store,” and Tired Hands Brewing Company's two locations. You could theoretically ride the Media/Elwyn Line for a little more than half an hour and come within walking distance of Downtown Media, but we recommend the scenic route via the 101 Trolley. It will take a lot longer, but it will also give you the near-extinct experience of rolling down a small town’s main street on rails. Once there, get your caffeine fix at Seven Stones Cafe or a full-blown brunch at Bittersweet Kitchen. For lunch, grab sandwiches at On A Roll or House. If you want to get a little loose, try a couple of breweries -- Sterling Pig and Iron Hill -- or hit up John’s Grill, which locals say is the last dive in town. A short walk from the Haddonfield PATCO station (two stops after the Collingswood stop) will bring you to a small, fun stretch of Kings Highway, where old mansions toward the southwest give way to attached shops and restaurants. If you need a date idea, book a class at In the Kitchen Cooking School, on Mechanic St just off the main drag. Or hit up the British Chip Shop, a BYOB take on pub food from across the pond, and stop by Gelato Dolceria for dessert. Word has it that Angelo’s Pizzeria, a few blocks north on Haddon Ave, has some of the best slices and cheesesteaks this side of the Delaware River. Conshohocken has always felt closer in spirit to Roxborough or Manayunk than to Montco, in part because of its row homes but also because of its accessibility. 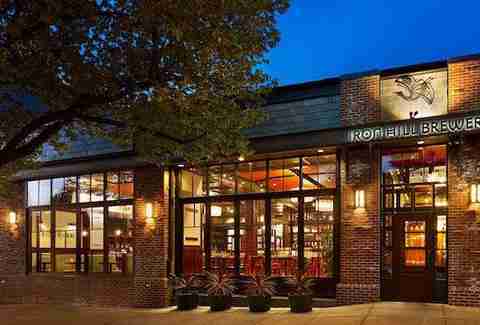 The town takes about 25 minutes to reach from Center City on the Manayunk/Norristown Line, and cyclists can hop on the Schuylkill River Trail and pedal straight to the Conshohocken Brewing Company’s back deck. The neighborhood dives, like Conshy Corner Tavern, add to the area’s unpretentious old-school vibe. If you lean toward caffeine and/or fitness over alcohol, head to Riverbend Cycles, a combination bike and coffee shop. For grub, Fayette St has a small restaurant row with hoagies, tacos, seafood, and even a Southern kitchen.